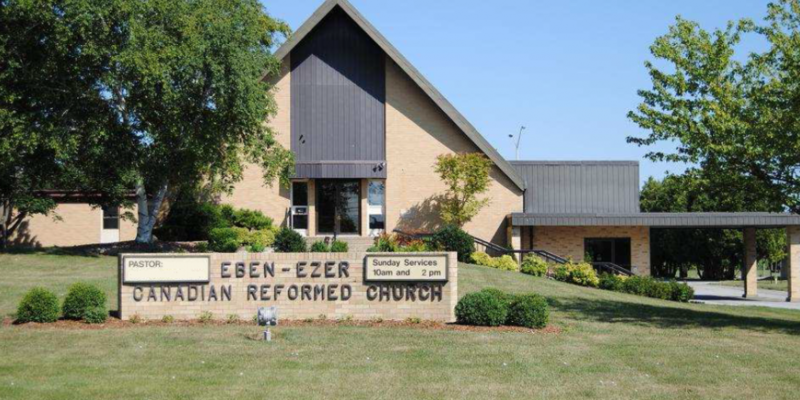 Welcome to the Chatham Eben-Ezer Canadian Reformed Church. Whether you have heard of us and are curious, or whether you came across this site by searching for churches in the Chatham-Kent area, we welcome you! Please feel free to explore this site to learn more about our beliefs and church activities. We extend a warm welcome to all visitors and hope to see you soon! Our name “Eben-Ezer” is a Biblical name meaning “stone of help,” bearing witness to the fact that God has been and continues to be our source of help.